A little reading will not hurt us! I'm happy about this strong beginning of the year. 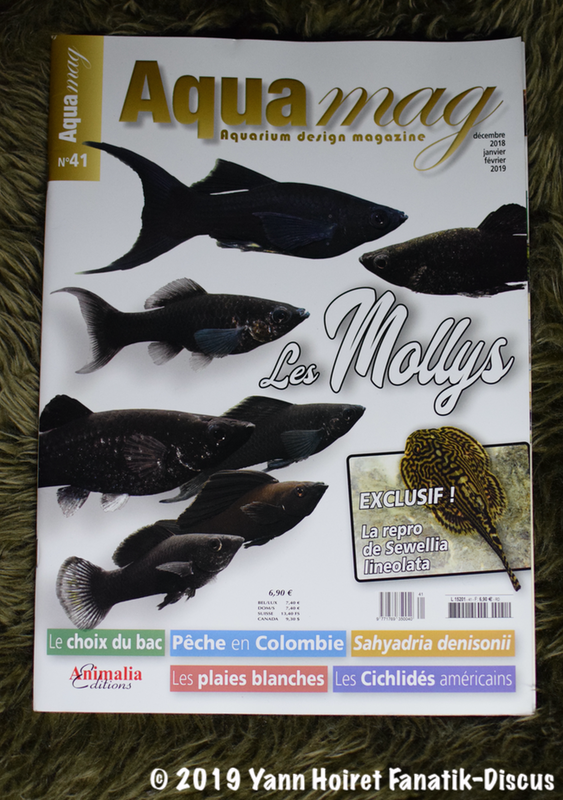 And wanted to share with you some interesting publications dedicated to our favorite aquarium fish. I am also particularly pleased to present the fruits of my work done in two of the three magazines that I present. 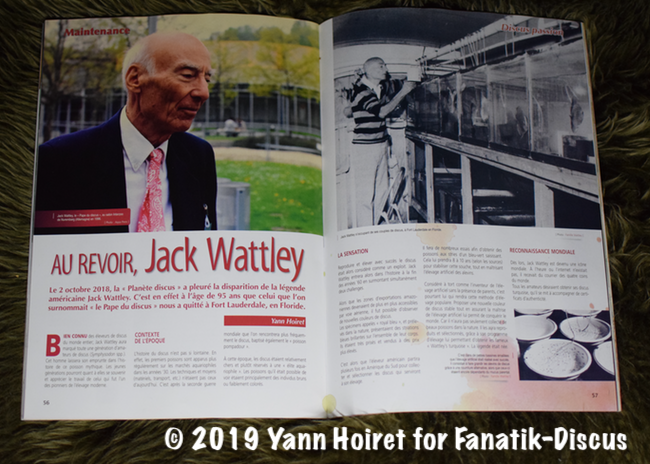 Beyond my own work, it also seemed interesting to me to highlight the "French dynamism" with a discus magazines "putsch" led by SODA (South West Discus Amateur) and EDA associations (European Discus Amateur)… Discus? You want it, here is!!! 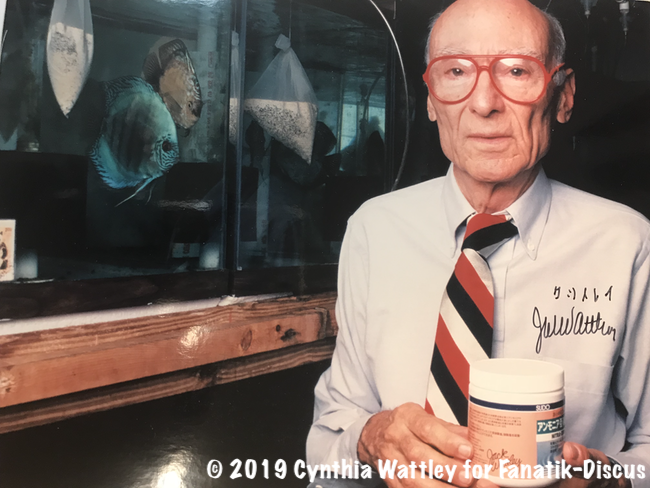 It is with great honor that I wrote in AquaMag my "goodbye" to the American breeder Jack Wattley. However, I was hoping to bring new elements. 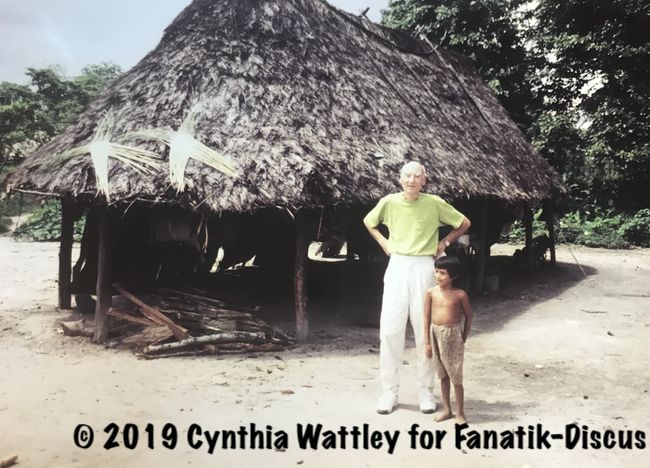 Thanks to Jack Wattley, family and especially to his daughter Cynthia; I could propose some unpublished photos. I would like also here to publicly thank her for her confidence. Because beyond being a world icon of the discus, he was a father and a passionate person. Writing in a magazine requires to be concise and only a few photos can be published. I wanted to share here, clichés that could not be selected for the publication of this number AquaMag 41. 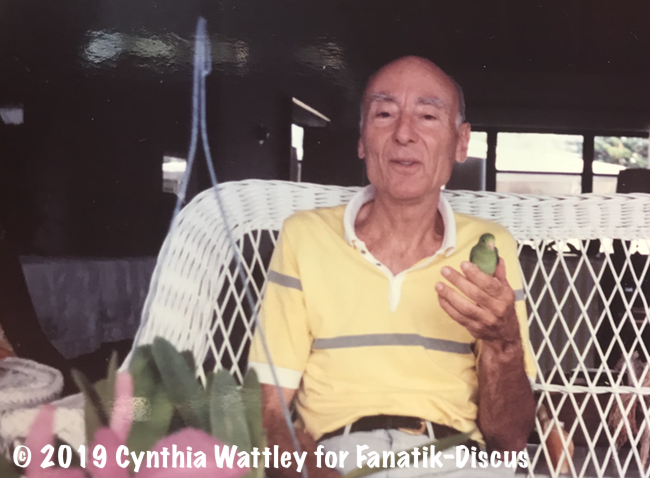 Cynthia, Your dad had increased tenfold my passion for discus… thank you for everything. 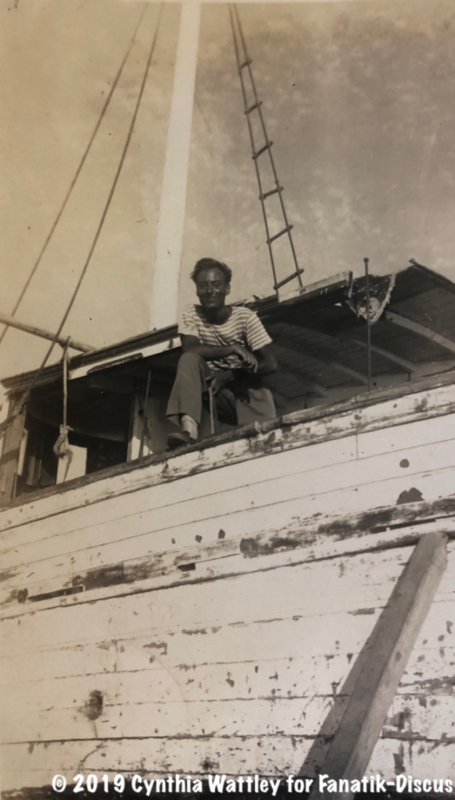 Jack Wattley at the age of 26 years old. 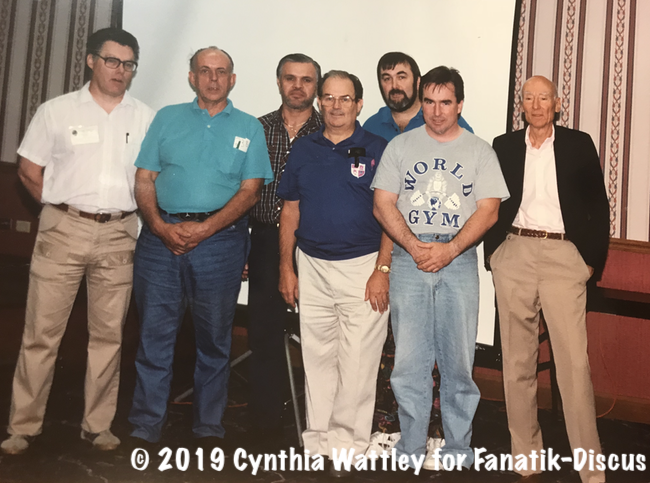 Jack Wattley posing with members of the North American Discus Society. We recognize the American Peter Thode (blue T-shirt) several times judge in the world championship of Duisburg. Below, one of my favorite pictures… The "Discus pope" is here in Ft Lauderdale, Florida in his breeding farm. 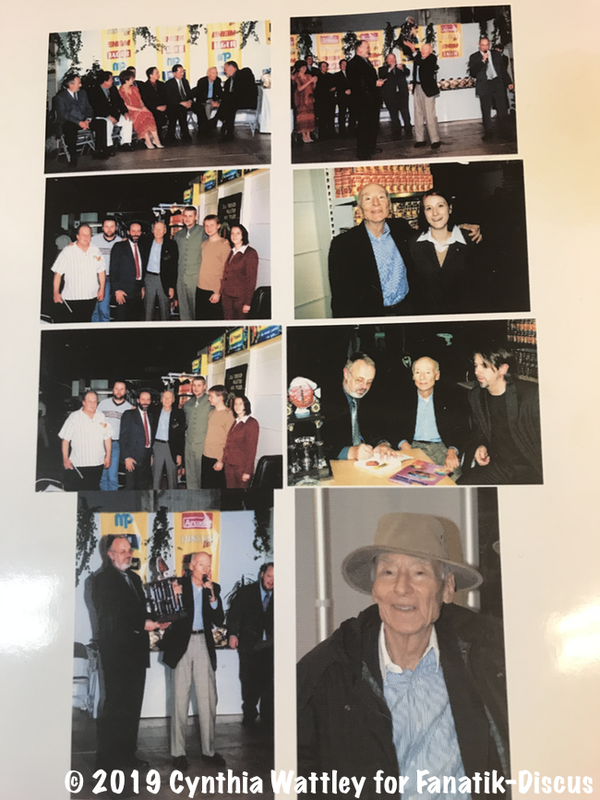 This photo was dedicated almost 500 copies in English and Kanji. Their destination? Discus fans who had traveled at an event in Nagoya, Japan. In this issue, You will also find an interview with Régis Leleu, an active member of the club EDA in Paris area. He evokes his passion for discus and the various journeys he had with members of the club. 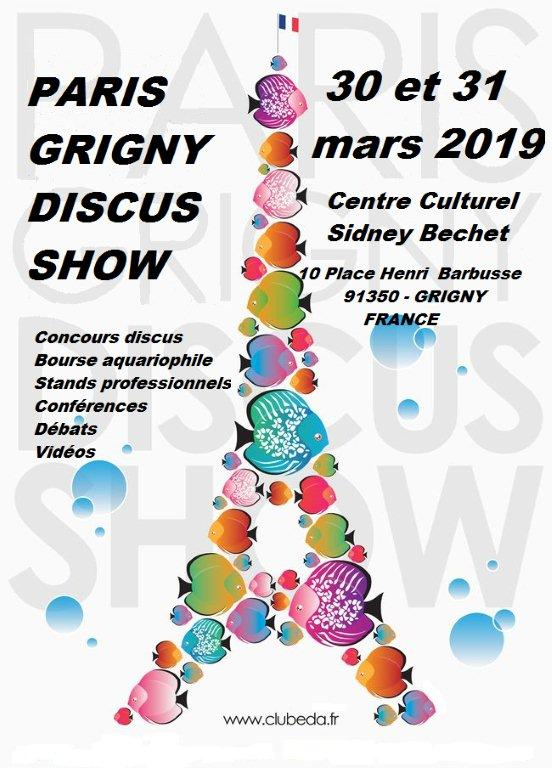 We also present the next edition of Paris-Grigny Discus Show 2019 which will take place the last weekend of March. A presentation of the competition that you will find in detail on the site of the EDA. 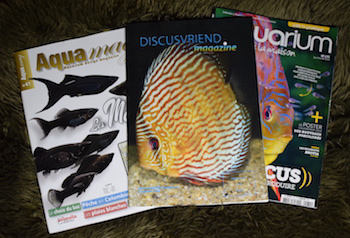 Discus magazines about discus in Belgium? 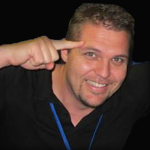 As you know, I responded positively and with great pleasure the invitation of Eddy Leysen the president of the Belgian club "Discusvrienden" in order to participate in the discus assessment of the contest "Vivarium 2018 ". This trip in Belgium allowed me to meet passionate Belgian discus guys which were very convincing. A large section dedicated to the 11th edition of the discus competition organized by the "Discusvrienden"
I sometimes get requests from our Belgian friends on many topics goshawks discus. 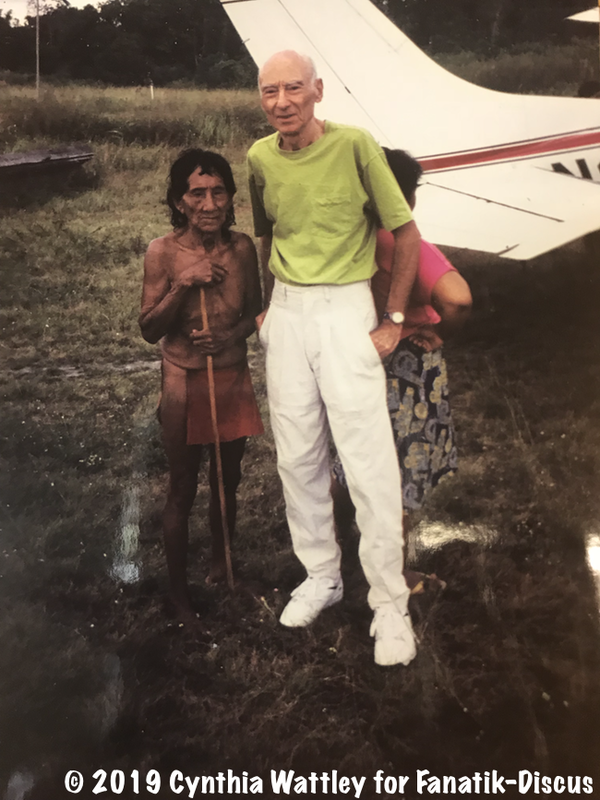 After this trip brought me to the heart of the event "VIVARIUM", I could appreciate the vitality in my opinion too unknown of the " Discusvrienden" . 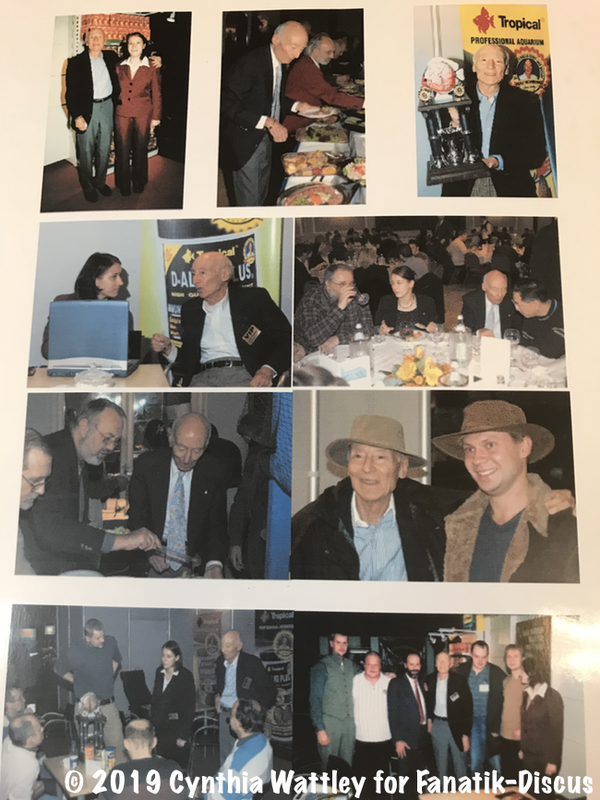 I bring my modest contribution to try to fix this by inviting my Belgium friends to discover this club and… his really stunning "Discusvriend magazine"! A monthly that has only one disadvantage for us French speakers: It is only available in Dutch. After browsing some available issues, I was rather impressed with the quality of the topics and the magazine itself. So imagine what was my joy when I discovered my winner picture 2018 in cover page. One of the few magazines still fully dedicated to discus, probably one of the last in the world… So Belgian and Dutch friends… Do not hesitate to subscribe! You are numerous people ask me for advices about the discus reproductive process. Often it is necessary to study several basic rules. 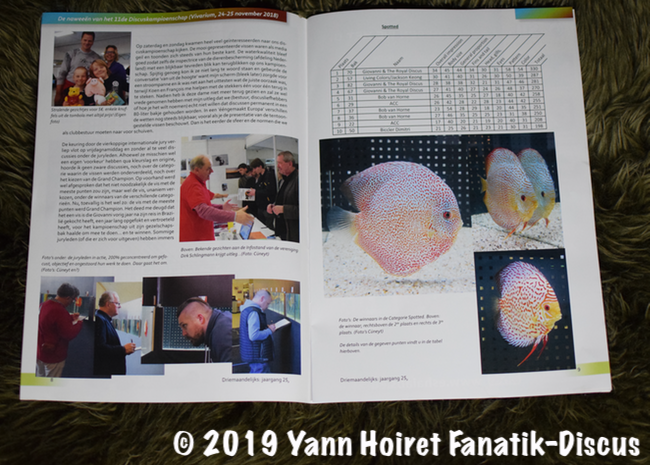 In his article the author Gérard Avril (an active member of the SODA club) describes the process for success in discus breeding. A simple and clear presentation in five steps. The article is decorated with pictures of his hobbyist breeding farm. 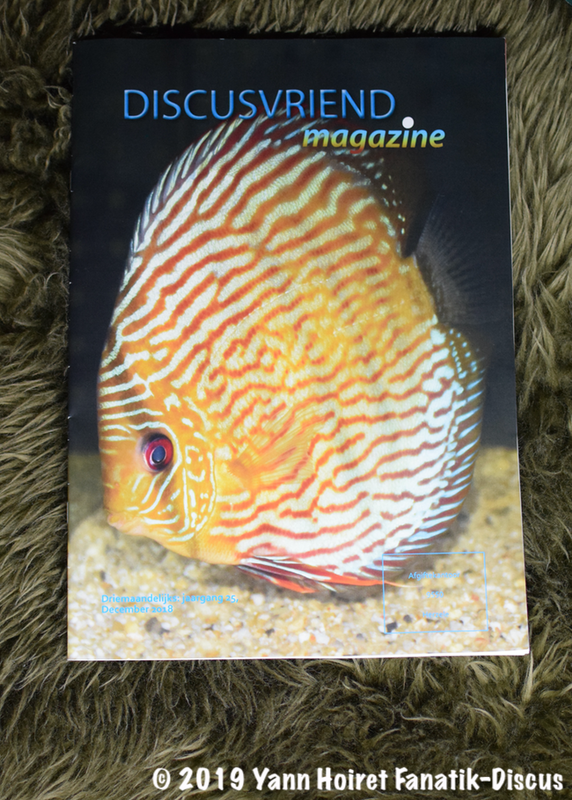 The reader who wants to start breeding discus find here photos and explicit text. 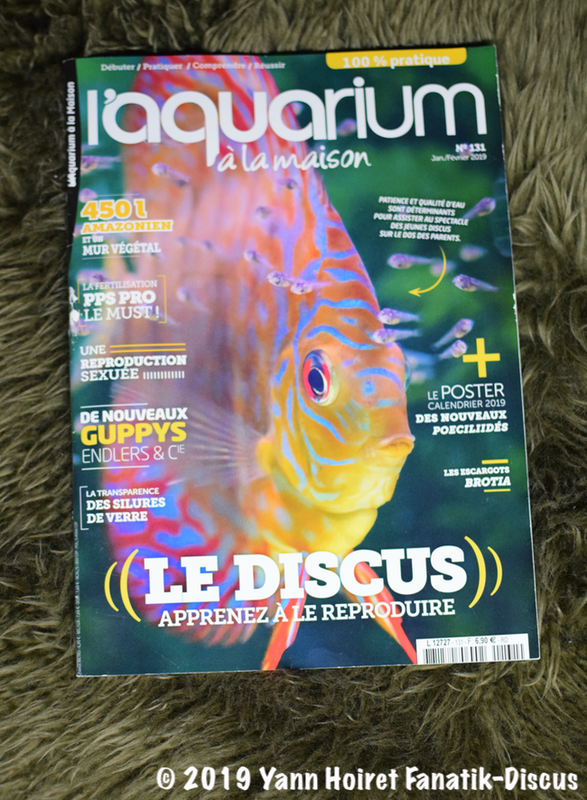 A reading of ’Aquarium à la maison 131 I advise you to start on the right way. This press review ends here. 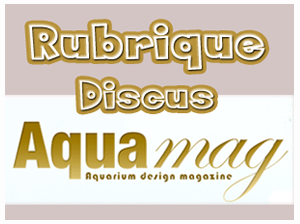 You will find all these magazines about discus by following the links in the article. Consanguinity in discus fish !? What an interesting and exciting life ! Here is someone unusual. 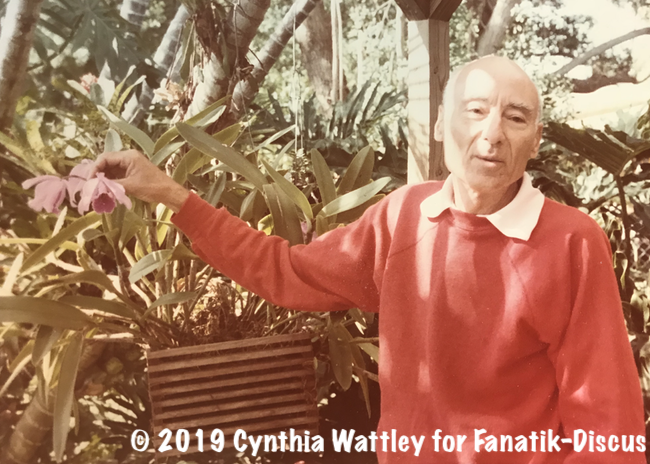 He understood the interest that is of nature things … it carries the serenity on her face. 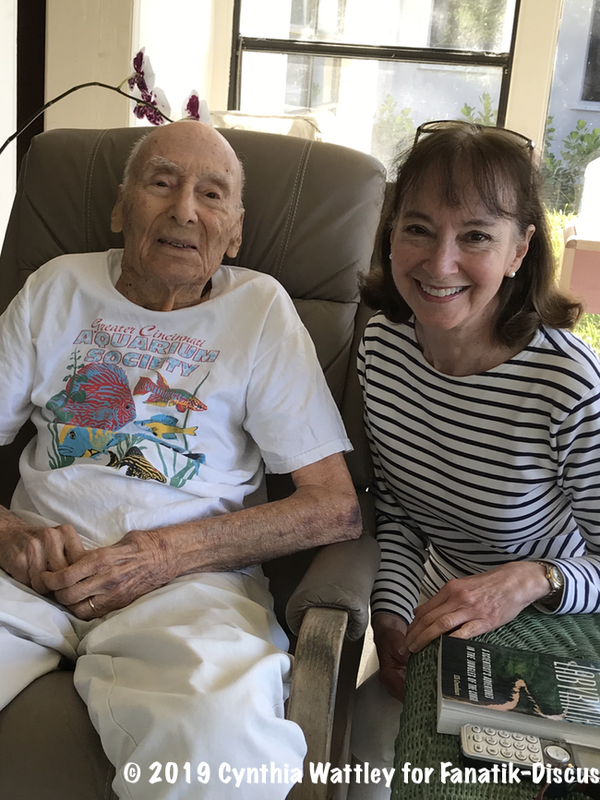 Tribute to him and infinite gratitude for his comments on the Discus we love and other aquatic animals subject of his passions …. I do not have Instagram but I try to have good addresses for discus private in Haute-Savoie. If you,, you still sell I'm interested because soon I recover the discus with a beautiful tray.